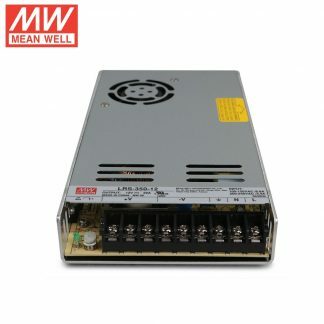 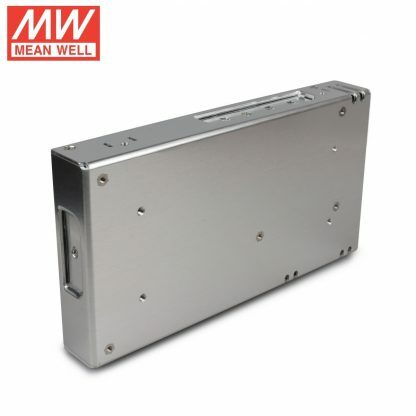 Mean Well LRS-350 348W AC/DC Single Output Power Supply is a single-output enclosed type power supply with 30mm of low profile design. Mean Well LRS-350 348W AC/DC Single Output Power Supply is a single-output enclosed type power supply with 30mm of low profile design. 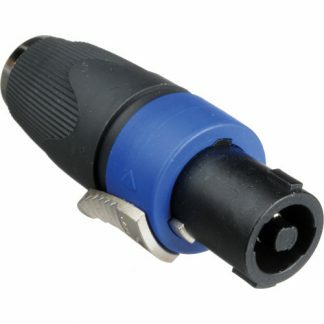 Adopting an input of 115 VAC or 230 VAC (select by switch). 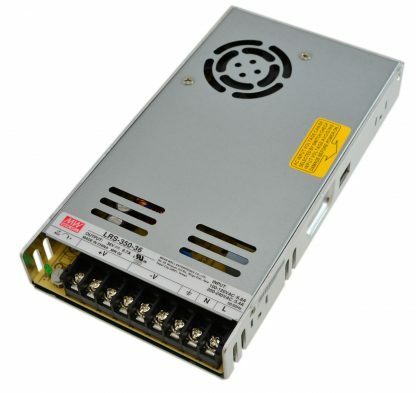 A built-in long life fan allows LRS-350 to work from -30ºC to +70ºC with full load. 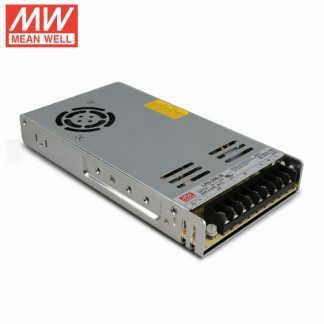 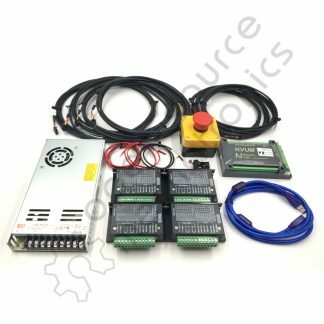 Delivering an extremely low no load power consumption (less than 0.75W), LRS-350 allows the end system to easily meet the worldwide energy requirement. LRS-350 has complete protection functions and 5G anti-vibration capability.